Just a fair bit of warning for those among us that watch this clips in public settings…there's a mix of over-the-top violence and harsh language within the trailer above. It makes sense in the Hitman universe, but perhaps not in the library of your school or departure gate of that airport. 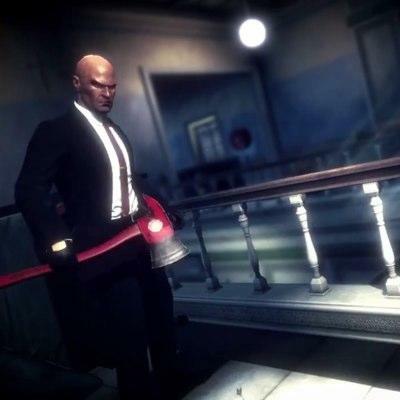 Hitman: Absolution is the upcoming entry of one (now classic) gaming icon, Agent 47. If you've ever played any Hitman games, then you know exactly what type of single-purpose dude our bald "hero" can be. If not, then this clip should do a pretty solid job of giving you a quick rundown. The trailer above shows off some of 47's techniques, a good bit of gameplay from the upcoming game and a nice taste of the mood and graphical art style being applied. This video is the first in a brand new series set up to build hype for Hitman: Absolution. As more in the line release, we'll have them for your viewing pleasure. The game is currently set to launch later this year for the Xbox 360, PlayStation 3 and PC platforms.